Potentially relevant reports identified and screened for retrieval. ACEIs indicates angiotensin-converting enzyme inhibitors; ARBs, angiotensin II receptor blockers. Diamond indicates the overall summary estimate for the analysis (width of the diamond represents the 95% CI); boxes, the weight of individual studies in the pooled analysis. Trials to the left of the vertical line showed a reduction in risk with the experimental intervention; those to the right showed an increase in risk with the experimental intervention. M-H indicates Mantel-Haenszel. See Table 1 footnote for expansion of clinical trial acronyms. Diamond indicates the overall summary estimate for the analysis (width of the diamond represents the 95% CI); boxes, the weight of individual studies in the pooled analysis. Trials to the left of that line showed a reduction in risk with the experimental intervention; those to the right showed an increase in risk with the experimental intervention. M-H indicates Mantel-Haenszel. See Table 1 footnote for expansion of clinical trial acronyms. International Diabetes Federation. The Diabetes Atlas.4th ed. Brussels: International Diabetes Federation; 2009. Cochrane Handbook for Systematic Reviews of Interventions, Version 5.10.http://handbook.cochrane.org/. Accessed February 25, 2014. Wells GA, Sultan SA, Chen L, Khan M, Goyle D. Indirect Evidence: Indirect Treatment Comparisons in Meta-analysis. Ottawa, ON: Canadian Agency for Drugs and Technologies in Health; 2009. Importance Angiotensin-converting enzyme inhibitors (ACEIs) and angiotensin II receptor blockers (ARBs) may have different effects on cardiovascular (CV) events in patients with diabetes mellitus (DM). Objective To conduct a meta-analysis to separately evaluate the effects of ACEIs and ARBs on all-cause mortality, CV deaths, and major CV events in patients with DM. Data Sources Data sources included MEDLINE (1966-2012), EMBASE (1988-2012), the Cochrane Central Register of Controlled Trials, conference proceedings, and article reference lists. Study Selection We included randomized clinical trials reporting the effects of ACEI and ARB regimens for DM on all-cause mortality, CV deaths, and major CV events with an observation period of at least 12 months. Studies were excluded if they were crossover trials. Data Extraction and Synthesis Dichotomous outcome data from individual trials were analyzed using the risk ratio (RR) measure and its 95% CI with random-effects models. We estimated the difference between the estimates of the subgroups according to tests for interaction. We performed meta-regression analyses to identify sources of heterogeneity. Main Outcomes and Measures Primary end points were all-cause mortality and death from CV causes. Secondary end points were the effects of ACEIs and ARBs on major CV events. Results Twenty-three of 35 identified trials compared ACEIs with placebo or active drugs (32 827 patients) and 13 compared ARBs with no therapy (controls) (23 867 patients). When compared with controls (placebo/active treatment), ACEIs significantly reduced the risk of all-cause mortality by 13% (RR, 0.87; 95% CI, 0.78-0.98), CV deaths by 17% (0.83; 0.70-0.99), and major CV events by 14% (0.86; 0.77-0.95), including myocardial infarction by 21% (0.79; 0.65-0.95) and heart failure by 19% (0.81; 0.71-0.93). Treatment with ARBs did not significantly affect all-cause mortality (RR, 0.94; 95% CI, 0.82-1.08), CV death rate (1.21; 0.81-1.80), and major CV events (0.94; 0.85-1.01) with the exception of heart failure (0.70; 0.59-0.82). Both ACEIs and ARBs were not associated with a decrease in the risk for stroke in patients with DM. Meta-regression analysis showed that the ACEI treatment effect on all-cause mortality and CV death did not vary significantly with the starting baseline blood pressure and proteinuria of the trial participants and the type of ACEI and DM. Conclusions and Relevance Angiotensin-converting enzyme inhibitors reduced all-cause mortality, CV mortality, and major CV events in patients with DM, whereas ARBs had no benefits on these outcomes. Thus, ACEIs should be considered as first-line therapy to limit excess mortality and morbidity in this population. The renin-angiotensin-aldosterone system is a major regulatory system of CV and renal function.7,8 Thus, multiple clinical trials9-13 in past decades have confirmed that suppression of renin-angiotensin-aldosterone system activity might be expected to reduce CV mortality and all-cause mortality. Quiz Ref IDThe American Diabetes Association16 recommends that patients with DM and hypertension should be treated with a pharmacologic therapy regimen that includes an ACEI or an angiotensin II receptor blocker (ARB). If one class of medication is not tolerated, the other class of medication should be used. Both types of drugs limit the effects of angiotensin II, but the mechanisms of action are not identical.17 Thus, theoretically, there might be relevant differences between the drug classes. The recent meta-analysis by van Vark et al18 showed that ACEIs or ARBs had different effects on all-cause mortality in patients with hypertension. This difference might also exist in the treatment of DM. However, evaluating the relative effects of ACEIs and ARBs is difficult owing to the lack of adequate head-to-head trials. In light of the above, we undertook the present meta-analysis aiming to overcome this limitation by evaluating the effect of ACEIs and ARBs separately vs placebo or other medications on the incidence of all-cause mortality, CV deaths, and CV events in patients with DM. Quiz Ref IDThe study was included if it was a randomized clinical trial (RCT), including post hoc analyses and subgroups for DM, with a median or mean follow-up of at least 12 months. The study was included if it compared ACEIs and ARBs (any dose or type) with placebo, no treatment, or other antihypertensive drugs (including ACEIs vs ARBs). The study was excluded if the RCT did not assess the effects of ACEI and ARB regimens for DM on CV deaths or all-cause mortality. Finally, studies were excluded if they were crossover trials. 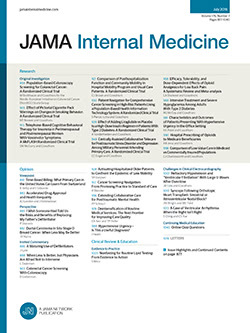 We performed a systematic review of the literature in agreement with the approach recommended by the Preferred Reporting Items for Systematic Reviews and Meta-analyses statement for conducting meta-analyses of intervention studies.19 Electronic searches were performed using MEDLINE (January 1, 1966, to December 31, 2012) and EMBASE (January 1, 1988, to December 31, 2012). The Cochrane Central Register of Controlled Trials was also searched. The following Medical Subject Heading terms and text words were used: type 2 diabetes, type 1 diabetes mellitus or DM, cardiovascular events or mortality, myocardial infarction,MI, stroke, heart failure, angiotensin-converting enzyme inhibitors, angiotensin II receptor, ACE inhibitors, ARB, angiotensin receptor, angiotensin II receptor blocker, cardiovascular death, randomized controlled trials, and clinical trials. The search was limited to RCTs with at least 12 months of follow-up, without age or language of publication restrictions. Reference lists from cited articles were also searched. The ClinicalTrials.gov website was searched for randomized trials that were registered as completed but had not yet been published. Abstracts presented at American Diabetic Association meetings from 2005 to 2012 were searched for additional unpublished data. The titles and abstracts of the articles from these searches were independently analyzed by two of the authors (J. Cheng and W.Z.) to ascertain inclusion criteria conformity. The full text of an article was carefully reviewed if screening of its title and abstract was unclear with regard to its admissibility. Primary end points were all-cause mortality and death from CV causes. Secondary end points were the effects of ACEIs and ARBs on the occurrence of major CV events, defined as the composite of CV death, nonfatal myocardial infarction (MI) and stroke, congestive heart failure, and coronary artery bypass grafting or percutaneous coronary intervention, in patients with DM, as well as the effects of ACEIs and ARBs on MI, stroke, and congestive heart failure in patients with DM. End point definitions referred to those reported in the originally published articles. Outcomes were based on the longest follow-up period available for each study. Individual patient data were not available for the studies in this analysis; thus, tabular data were used. Dichotomous outcome data from individual trials were analyzed using the risk ratio (RR) measure and its 95% CI. To determine the robustness of our pooled effects, we compared our primary analysis with random-effects models.21 The results were confirmed by the Mantel-Haenszel fixed-effect model to avoid small studies being overly weighted. Funnel plots and the Begg test were used to probe for publication bias. Heterogeneity was assessed among studies using the I2 statistic, judging values of less than 25% to be minimal, 25% to 49% to be moderate, and 50% or greater to be substantial. Given that the results might be different based on the control group (placebo vs active treatment), we performed the primary analyses after stratifying the studies based on the comparator (placebo vs active treatment). We estimated the difference between the estimates of the subgroups according to tests for interaction.22P < .05 indicates that the effects of treatment differed significantly between the tested subgroups. We performed random-effects univariate meta-regression when possible to explore the role of potential sources of heterogeneity related to the participants (ie, age, stage of proteinuria, type of DM, and blood pressure level at baseline), the agent used (different types), and trial quality (allocation concealment and Jadad scale) regarding the effect on the primary end points of the interventions. A 2-sided P value <.05 was considered statistically significant. All statistical analyses were performed using Review Manager, 5.10, statistical software (Cochrane Collaboration)23 and Stata, version 11 (Stata Corp), for the meta-analysis. The combined search of MEDLINE, EMBASE, and the Cochrane Central Register of Controlled Trials, which also included some handsearching of relevant nephrology journals, retrieved 436 citations. After discarding several duplicates retrieved by individual searches and reviewing all titles and abstracts, many studies were excluded because they were not RCTs, did not investigate any of the outcomes of interest to this study, or were animal or basic research studies or review articles. Overall, 35 trials (35 with 1 study using both an ACEI and ARB)12,14,15,24-54 enrolling a total of 56 444 patients were included in this analysis (Figure 1). Twenty-three studies (n = 32 827) compared ACEIs with control therapy, and 13 studies (n = 23 867) compared ARBs with control therapy. The 23 comparator arms included 11 arms that compared ACEIs with placebo and 12 arms in which the comparator was active treatment. Of the 13 ARB trials, the Losartan Intervention for Endpoint Reduction in Hypertension (LIFE) substudy,28 Candesartan Antihypertensive Survival Evaluation in Japan (CASE-J) study,51 Diabetics Exposed to Telmisartan and Enalapril (DETAIL) trial,54 and Irbesartan Diabetic Nephropathy Trial (IDNT)12 (active substudy) compared ARBs with active drugs, and the remaining studies15,46-50,52,53 compared ARBs with placebo. The DETAIL trial compared ACEIs with ARBs, so the DETAIL trial was included in the ACEI group and the ARB group. The quality of the included studies was assessed independently by 2 of the authors (W.Z. and J. Cheng) using the Jadad score, which ranges from 0 to 5 points. Study quality generally was good. Twenty-one studies (60.0%) had a Jadad score greater than 3 (Table 1). Participants and investigators were blinded in 27 trials. Eighteen of the studies (51.4%) met allocation concealment criteria, and 26 studies (74.3%) met the intention-to-treat analysis criteria. A total of 20 studies of 23 RCTs were analyzed to prospectively test the effectiveness of ACEIs for all-cause mortality in a total of 25 544 patients with DM. Quiz Ref IDIn the 20 trials combined, ACEIs were associated with a statistically significant 13% reduction in all-cause mortality compared with control therapy (RR, 0.87; 95% CI, 0.78-0.98; P = .02) (Figure 2). The results were similar when ACEIs were compared with placebo or active treatment (P = .49 for interaction). There was low to moderate heterogeneity (I2 = 26%; P = .14) and no evidence of publication bias (P = .69) (Supplement [eFigure 1]). Thirteen studies of 23 RCTs assessed the effect of ACEI therapy on the occurrence of CV deaths in 24 334 patients with DM. According to our meta-analysis, in which the weight of individual studies was taken into account, ACEIs were associated with a significant 17% reduction in CV deaths compared with control therapy (RR, 0.83; 95% CI 0.70-0.99; P = .04). In addition, the results were similar when ACEIs were compared with placebo or active treatment (P = .96 for interaction). For the outcome of CV deaths, there was moderate heterogeneity (I2 = 40%; P = .07), but no evidence of publication bias (P = .51) (Supplement [eFigure 2]). Eleven studies involving 17 334 patients have been published on the effect of ARB therapy on all-cause mortality in patients with DM. There was no significant decrease in the risk of total mortality when ARB therapy was compared with control therapy in patients with DM (RR, 0.94; 95% CI 0.82-1.08; P = .39) (Figure 3). The results were similar when ARBs were compared with placebo or active treatment (P = .16 for interaction). Heterogeneity among the trials was low to moderate for all-cause mortality (P = .23; I2 = 22%). The active control group (I2 = 49%) was mainly derived from the LIFE study.28 After excluding the LIFE study (losartan), greater heterogeneity disappeared (RR, 0.96; 95% CI, 0.77-1.20; I2 = 0%). Seven studies assessed the effect of ARB therapy on the occurrence of CV deaths in 10 801 patients with DM. According to our meta-analysis, in which the weight of individual studies was taken into account, ARB treatment did not significantly reduce the risk for CV deaths compared with control therapy (RR, 1.21; 95% CI, 0.81-1.80; P = .35). In addition, the results were similar when ARBs were compared with placebo or active treatment (P = .12 for interaction). However, the degree of heterogeneity in the treatment effect across all trials was significant (P = .01; I2 = 61%). The ROADMAP study15 and the Olmesartan Reducing Incidence of Endstage Renal Disease in Diabetic Nephropathy Trial (ORIENT)47 used olmesartan as a treatment drug. After exclusion of 2 trials involving olmesartan, heterogeneity among the trials was not significantly different (I2 = 41%; RR, 0.98). When olmesartan treatment was compared with placebo, there was a significant increase in the risk for CV deaths (2 trials, 5024 patients; RR, 4.10; 95% CI, 1.68-9.98; P = .002). When ARB therapy was compared with control therapy in patients with DM, there was no evidence of publication bias for the outcomes of all-cause mortality (P = .50) (Supplement [eFigure 3]) and CV deaths (P = .23) (Supplement [eFigure 4]). Fourteen studies assessed the effect of ACEI therapy on the occurrence of major CV events in 34 352 patients. Drugs from this class significantly reduced the risk of major CV events by 14% (RR, 0.86; 95% CI, 0.77-0.95) (Supplement [eFigure 5]) compared with control therapy. Heterogeneity between trials was significant for all CV events (P = .003; I2 = 59%). Subgroup analysis showed that heterogeneity was mainly derived from the active control group (I2 = 65%); the results were similar when ACEIs were compared with either placebo or active treatment (P = .31 for the interaction). Myocardial infarction was reported in 11 trials including 22 741 participants, among whom 1944 events were observed. Quiz Ref IDTherapy with ACEIs reduced the risk of myocardial infarction by 21% (RR, 0.79; 95% CI, 0.65-0.95; P = .01) (Figure 4A). Eleven trials (33 508 participants) reported 1775 stroke events, and 8 trials (12 651 participants) reported 782 occurrences of heart failure. Therapy with ACEIs was associated with a 19% lower risk of heart failure (RR, 0.81; 95% CI, 0.71-0.93; P = .002) (Figure 4B), but there was no clearly apparent beneficial effect for stroke (0.95; 0.86-1.04; P = .28) (Figure 4C). Data regarding the effects of ARBs on major CV events were available from 9 trials that included 18 743 participants and reported 2992 major CV events. With all trials combined, there was no significant decrease in the risk of major CV events (RR, 0.94; CI 0.85-1.01; P = .07) (Supplement [eFigure 6]). No significant heterogeneity existed between trials for these end points (P = .32; I2 = 13%). The results were similar when ARBs were compared with placebo or active treatment (P = .33 for the interaction). Six trials (11 454 participants) reported 415 myocardial infarction events, and 8 trials (17 796 participants) reported 1064 occurrences of stroke. There were no clearly apparent beneficial effects for myocardial infarction (RR, 0.89; 95% CI, 0.74-1.07; P = .22; I2 = 0%) (Figure 5A) and stroke (1.00; 0.89-1.12; P = .94; I2 = 0%) (Figure 5B). Heart failure was reported by 4 trials that included 4989 participants, among whom 571 events were observed. Therapy with ARBs reduced the risk of heart failure by 30% (RR, 0.70; CI, 0.59-0.82; P < .01; I2 = 0%) (Figure 5C). No significant heterogeneity existed between trials for these end points. There was no evidence that the observed effects of ACEIs on all-cause mortality and CV deaths differed among trial subgroups defined according to a broad range of baseline characteristics, such as age, starting baseline blood pressure, and type of DM (all P > .05 for heterogeneity) (Table 2). In particular, univariate meta-regression of ACEI treatment on all-cause mortality and CV death outcomes did not vary by the starting baseline blood pressure of the trial participants and the type of ACEI. This meta-analysis of data from 35 RCTs showed that ACEIs and ARBs have different effects on all-cause mortality, CV deaths, and CV events for patients with DM. According to this meta-analysis, ACEIs significantly reduced the risk of all-cause mortality by approximately 13% and CV deaths by approximately 17%. In contrast, ARB treatment did not significantly affect all-cause mortality and CV death. Angiotensin-converting enzyme inhibitors significantly reduced the risk of major CV events by 14%, including myocardial infarction by 21% and heart failure by 19%. There was no significant decrease in the risk of major CV events and myocardial infarction when ARB therapy was compared with control therapy in patients with DM. However, ARB therapy was associated with a 30% reduction in the risk of heart failure. Both ACEIs and ARB agents were not associated with a decrease in the risk for stroke in patients with DM. The results were similar when ACEIs and ARBs were compared with placebo or active treatment for all-cause mortality and CV death outcomes (P > .05 for interaction for all comparisons). Evidence-based recommendations for the management of patients with DM and overt nephropathy using ACEIs or ARBs have been published,55-58 and the data of the trials suggest that the value of ACEIs or ARB treatment in patients with DM remains controversial or uncertain. A previous meta-analysis by Nakao et al58 showed that treatment with renin-angiotensin system blockade can routinely be considered for patients with DM to reduce major CV events. Another meta-analysis59 concluded that renin-angiotensin system blockade, calcium channel antagonists, and diuretics provide no difference in CV protection in patients with specific underlying conditions. Regarding DM and overt nephropathy, these reviews pooled studies with mixed renin-angiotensin-aldosterone system inhibitors, ACEIs, and ARBs. Some reviews focused on the heterogeneity between ACEIs and ARBs for new-onset diabetic kidney disease60 and hypertension.18 Few reviews focused on the heterogeneity between ACEIs and ARBs for all-cause mortality and CV death outcomes in patients with DM. The clinical importance of these differences for CV protection was confirmed in our study; unlike ARBs, ACEIs significantly reduced all-cause mortality, CV deaths, and CV events, including myocardial infarction, compared with controls. A meta-regression analysis is a reasonable method by which to investigate whether potential effect modifiers explain any of the heterogeneity of treatment effects between studies. Meta-regression should generally not be considered when there are fewer than 10 studies in a meta-analysis.23 Thus, our meta-regression and subgroup analyses were possible only in trials comparing ACEIs with controls for the benefit of this drug class in all-cause mortality and CV deaths; however, all other outcomes involving ARBs were reported in too few trials for the analysis to be robust. There was no evidence that the observed effects varied by older age, hypertension, a history of proteinuria, and the type of ACEIs and DM. Angiotensin-converting enzyme inhibitors might have particular benefits for diabetic pathophysiologic conditions. A possible biological rationale for the benefit of ACEIs, but not ARBs, on cardioprotective effects seems to be related to angiotensin-(1-7) and bradykinin antagonism.8,17 These two factors occur with ACEIs but not ARBs, and the selectivity of ARBs might not necessarily be an advantage. In the present study considering ARB treatment, there was significant heterogeneity for CV deaths in patients with DM (I2 = 61%). According to our research, ARB therapy was associated with a trend to more fatal CV events compared with placebo (RR, 1.90). This heterogeneity was attributed mainly to the LIFE substudy28 and 2 trials using olmesartan.15,47 The LIFE substudy showed that losartan was more effective than atenolol in reducing CV morbidity and mortality as well as all-cause mortality in patients with DM. Heterogeneity attributed to the LIFE substudy may be closely related to its design and the post hoc observations. On the contrary, olmesartan treatment in the ORIENT study47 and ROADMAP study15 showed a significant increase in the risk for CV deaths (RR, 4.22) in patients with DM. The results revealed that heterogeneity may exist among the different ARBs. Diabetes mellitus is a strong independent risk factor for CV disease. Mortality rates associated with CV disease in patients with DM are 2- to 4-fold higher compared with those in patients without DM, depending on CV comorbidities.4 Because of the high mortality rates for DM patients, ACEIs should be used as first-line treatment in this population. DETAIL54 was the only trial comparing CV outcomes in participants with DM randomized to an ACEI or an ARB. There were 21 fatal or nonfatal major CV events among 130 participants receiving enalapril (16.2%) vs 27 events among 120 patients receiving telmisartan (22.5%). No statistics were provided to show whether this difference was statistically significant. However, the results of the trial were consistent with results of the present meta-analysis. There are several limitations of our analysis. Quiz Ref IDFirst, the major limitation was the indirect nature of the comparison between ACEIs and ARBs. Second, there was much variation between the studied populations. For example, trials used different ACEIs or ARBs, different target blood pressure and hemoglobin A1c levels were used, different dosages of the active and control drug were used, and there were different follow-up times and background therapies. Finally, trials of ACEIs and ARBs were not equivalent. The ACEI group included more studies (23 vs 13) and more of the population (32 827 vs 23 867). In addition, the characteristics of populations enrolled in ACEI and ARB trials were different. More DM patients with coronary or other vascular atherosclerotic disease were included in ACEI trials than in ARB trials. The main assumption underpinning the validity of network meta-analysis is that there are no important variations between the trials that are making different comparisons other than the treatments being compared.61 Current hierarchies of evidence tend to place network meta-analysis below direct evidence because indirect comparisons may have biases similar to those in observational studies.62 The Canadian Agency for Drugs and Technologies in Health63 allows network meta-analysis only as a sensitivity or supportive analysis to supplement direct evidence. For these reasons, we believe that results from network meta-analysis involving ACEI and ARB treatment may lead to greater clinical heterogeneity and even mislead the reader. Therefore, this meta-analysis cannot confirm that ACEIs are superior to ARBs on survival in patients with DM. Our meta-analysis shows that ACEIs reduce all-cause mortality, CV mortality, and major CV events in patients with DM, whereas ARBs have no beneficial effects on these outcomes. Thus, ACEIs should be considered as first-line therapy to limit the excess mortality and morbidity in this population. Accepted for Publication: November 25, 2013. Corresponding Author: Jianghua Chen, MMed, Kidney Disease Center, The First Affiliated Hospital, Medical School of Zhejiang University, 79 Qingchun Rd, Hangzhou, Zhejiang Province, P.R. China, 310003 (chenjianghua@zju.edu.cn). Published Online: March 31, 2014. doi:10.1001/jamainternmed.2014.348. Author Contributions: Drs Cheng and Chen had full access to all the data in the study and take responsibility for the integrity of the data and the accuracy of the data analysis. Study concept and design: Cheng, X. Li, He, Chen. Acquisition of data: Cheng, W. Zhang, X. Zhang, Han, Q. Li, Chen. Analysis and interpretation of data: Cheng, Han, Chen. Critical revision of the manuscript for important intellectual content: Cheng, Chen. Statistical analysis: Cheng, W. Zhang, X. Zhang, X. Li, Q. Li, Chen. Administrative, technical, or material support: He, Chen. Funding/Support: This work was supported by grant 2012CB517603 from the National Basic Research Program of China and by grant N20120291 from the Zhejiang Provincial Education Department.